Escobar: 'The West Against The Rest' Or 'The West Against Itself'? What is the bigger story? 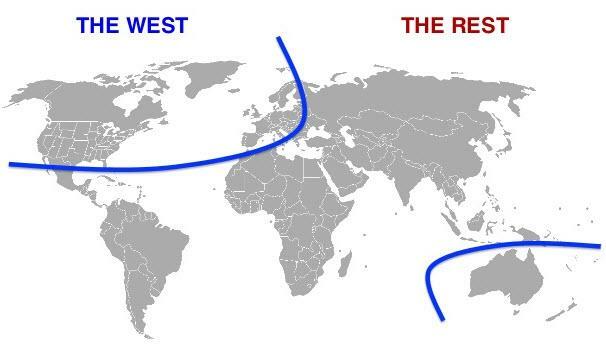 The West Against the Rest or The West Against Itself? Illiberalism is arrogantly and provocatively depicted in the West repeatedly as a Tartar Invasion 2.0. But closer to home Illiberalism is responsible for the social, civil war in the U.S. as Trump’s America has long ago forgotten what the European Enlightenment was all about. The Western view is a maelstrom of a Judaeo-Greco-Roman, pseudo-philosophy steeped in Hegel, Toynbee, Spengler and obscure biblical references decrying an Asian attack on the “enlightened” West’s mission civilisatrice. 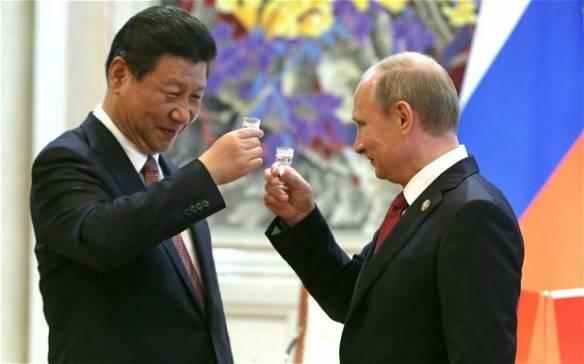 The maelstrom stunts critical thinking to evaluate Xi’s Confucianism, Putin’s Eurasianism, Rouhani’s realpolitik and “non-Westoxified” Shi’ite Islam, as well as Erdogan’s quest to guide the global Muslim Brotherhood. Instead the West give us phony “analyses” of how NATO should be praised for not allowing Libya to become a Syria, which it indeed has. Meanwhile a golden rule prevails about one Asian power: never criticize the House of Saud, which happens to be the ultimate manifestation of Illiberalism. What the illiberal-bashing frenzy does accomplish is to reduce what should be a crucial debate about a fearful West Against the Rest, to the more pressing issue of The West Against Itself. This intra-West battle is being manifested in several ways: Viktor Orban in Hungary, eurosceptic coalitions in Austria and Italy, the advance of the ultra right-wing Alternative für Deutschland (AfD) and the Sweden Democrats. In short it’s The Revenge of the European Deplorables. Into this European fray steps Steve Bannon, the master strategist who elected Donald Trump and is now taking the continent by storm. He is about to launch his own think tank, The Movement, in Brussels, to foment no less than a right-wing populist revolution. Bannon’s growing influence in Europe has reached the Venice Biennale, where director Errol Morris presented a documentary on Bannon, American Dharma, based on 18 hours of interviews with Trump’s Svengali himself. Bannon held court two weeks ago in Rome supported by Mischaël Modrikamen, the president of the Popular Party in Belgium, who is slated to lead The Movement. 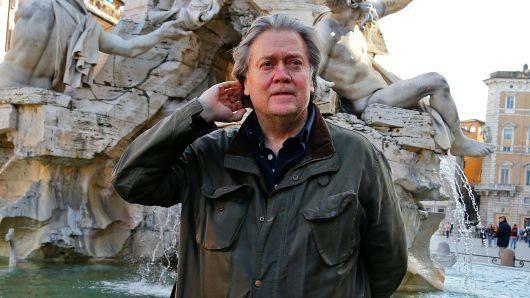 In Rome Bannon again met Italian Interior Minister Matteo Salvini – whom he had previously advised “for hours” to finally break a political coalition with fading star Silvio “Bunga Bunga” Berlusconi. Salvini and Berlusconi though are now horse-trading again. Bannon has correctly identified Italy as the vortex of post-politics, spearheading the crusade to defeat the EU. The game-changer should be the May 2019 European Parliament elections, which Bannon reads as a certified victory for Right populism and nationalist movements. In this do-or-die battle between populism and the Davos Party, Bannon wants to play The Undertaker against a puny George Soros. Bannon is connecting across Europe because he has identified how the West peddles “socialism for the very rich and the very poor” and “a brutal form of Darwinian capitalism for everybody else.” Quite a few Europeans easily grasp his simplistic concept of Right populism, according to which citizens must be able to get jobs, something impossible when illegal immigration is used as a scam to depress workers’ salaries. The political strategy underlining The Movement is to unite all European nationalist vectors – a currently fragmented mess featuring sovereignists, neoliberals, radicalized nationalists, racists, conservatives and extremists on a quest for respectability. To his credit, Bannon viscerally understood how the EU is a vast, de facto “un-sovereignty” space held hostage to economic austerity. The EU bureaucracy can easily be construed as Illiberalism Central: It was never a democracy. There’s no question Bannon impressed on Salvini the need to keep hammering over and over again how the Germany-France leadership of the EU is anti-democratic. But there’s a huge problem: The Movement, and the Right populism galaxy, center almost exclusively on the role of illegal migrants – leading non-ideological cynics to suspect this might be little else than State xenophobia posing as a revolt of the masses. 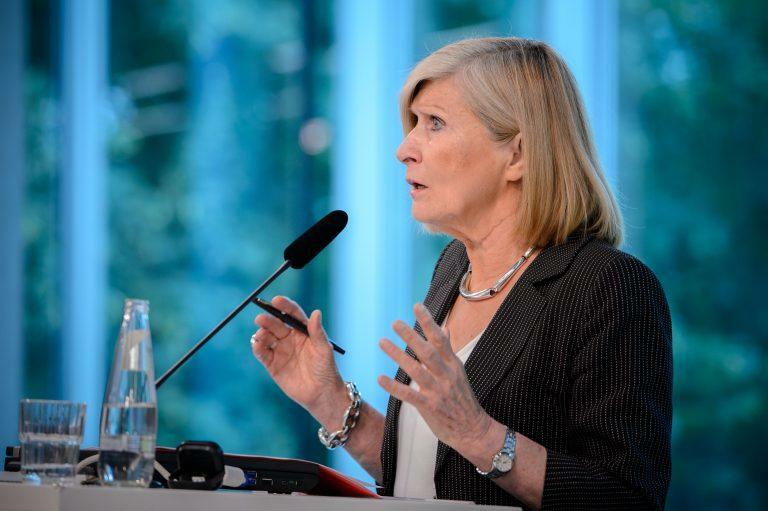 Belgian political theorist Chantal Mouffe, teaching at the University of Westminster and a darling of the multicultural café society, could easily be depicted as the anti-Bannon. She does identify the “crisis of neoliberal hegemony” and is capable of outlining how post-politics is all about Right and Left wallowing together in a conceptual swamp. The political impasse of the whole West once again revolves around TINA: There Is No Alternative, in this case to neoliberal globalization. The Goddess of the Market is Athena and Venus rolled into one. The question is how to organize a politically strong reaction against the all-out marketization of life. Mouffe at least understands that just demonizing Right populism as irrational – while despising the “deplorables” – is not good enough. Yet she places too much hope in the fuzzy political strategy of Podemos in Spain, La France Insoumise in France, or Bernie Sanders in the U.S. Arguably the only progressive politician in Europe who has a clear shot at government is Jeremy Corbyn – who’s consuming all his energy fighting a nasty demonization campaign. Sanders has just launched a manifesto calling for a Progressive International – capable of outlining a New Deal 2.0 and a new Bretton Woods. For his part, Yanis Varoufakis, former Greek finance minister and co-founder of theDiEM25 democratic movement, laments the triumph of a Nationalist International – at least stressing that they “sprang out of the cesspool of financialized capitalism”. Yet he resorts to the same old players when it comes to pushing for a Progressive International: Sanders, Corbyn and his own DiEM25. This implies that populism – relentlessly demonized by the neoliberal elites – is far from a toxic perversion of democracy, and can be authentically progressive. Slavoj Zizek, in The Courage of Hopelessness, couldn’t agree more, when he stresses that when the masses “not convinced by ‘rational’ capitalist discourse” prefer a “populist anti-elitist stance,”this has nothing to do with “lower-class primitivism”. And that’s why the “change” spectrum is so limited, and for the moment totally captured by Right populism. Nothing substantial can happen without a real socio-economic transformation, a new world-system replacing casino capitalism. Taking the shadowplay in their Platonic – Russophobic – cave for reality, while mourning “the end of Atlanticism,” the champions of “Western values” prefer to adopt a diversionist tactic. They keep on summoning fear of “illiberal” Putin and his “malign behavior” undermining the EU, coupled with “debt trap” neo-colonialism inflicted on unsuspecting customers by those devious Chinese. These elites could not possibly understand they face a plight of their own making, courtesy of free market populism, which happens to be the apex of Western Illiberalism.